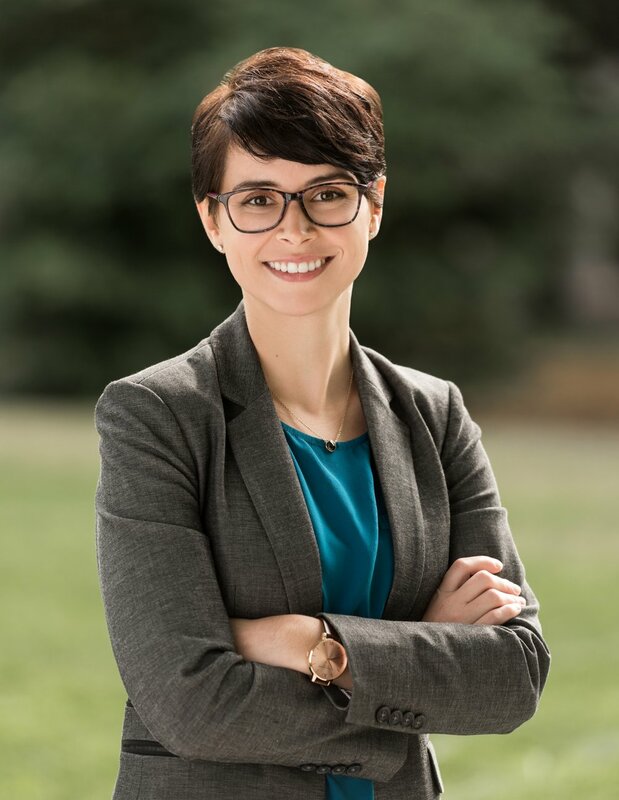 Ines Jurcevic is an Assistant Professor in the Daniel J. Evans School of Public Policy and Governance and Adjunct Assistant Professor in the Department of Psychology at the University of Washington. She received her B.S. in Psychology at the University of Washington and her M.A. and Ph.D. in Social Psychology at the University of California, Los Angeles. Prior to joining the Evans School, she was a Post-doctoral Researcher at the Frank Batten School of Leadership and Public Policy at the University of Virginia and Adjunct Lecturer at the Darden School of Business at the University of Virginia. Her research aims to understand how people and institutions think about diversity and how this translates into efforts to promote or undermine various initiatives and interventions. Further, she aims to examine how people’s individual attitudes, identities and group memberships inform these processes and influence performance and interpersonal outcomes in a variety of contexts. For more information, please see the Research page and her faculty page. Amy is a third year student studying Public Health-Global Health. In the future, she plans on pursuing an MD/MPH degree, focusing on community based health care delivery in low income and minority populations. On campus, she is an active member of GlobeMed, a student let nonprofit that advocates for global health equity and community empowerment. In her free time she can be found traveling, reading or helping out on her older brother’s sheep farm. Through SPIR, she hopes to develop a better understanding of how both individual and institutional perceptions of diversity may contribute to the social determinants of health and affect the quality of health care service and delivery of underrepresented groups. Karina is a third-year student majoring in psychology. She plans to continue her education by attending graduate school to study either mental health counseling or the intersections between environmental psychology and urban planning. Karina spends her time working as a student assistant for the UW Medical center and serves as a Peer Educator in the Interdisciplinary Honors Program. She also enjoys going on hikes with her friends and exploring new restaurants around Seattle. As a research assistant, Karina hopes to learn more about the role of diversity in public policy and how stigma can be reduced in academia. Jordan is a senior at the University of Washington majoring in Political Science and minoring in Law, Societies & Justice, as well as Diversity and Human Rights. After graduating he plans to attend a graduate school for public policy and governance. Outside of SPIR, he is dedicated to reinventing retail in the fashion eyewear industry with the aim of providing greater access to eyewear and eye-health services to those in need. Inside the lab, he works to develop research and professional skills, along with gaining knowledge about the ways in which anti-discrimination policies fail to produce intended outcomes, further disadvantaging stigmatized and underrepresented groups. Regan is a senior studying Psychology and International Studies: Comparative Religion. She plans on attending graduate school to explore the impacts of social bias on policy creation. Outside of SPIR, she is a Tour Guide for the Campus Visit Program under the UW Office of Admissions, an active member of the Interdisciplinary Honors Program and an avid explorer of the outdoors. She enjoys collaborating with the UW community to create more dialogue about the role of religion has on politics and what it means for student identities in hopes of creating a more inclusive environment. CJ is a junior at the University of Washington studying in Political Science and Economics. He hopes to either work in public policy analysis or later attend a graduate program with an emphasis on economic policy and its effect on minority populations. Outside of the lab, CJ is a Undergraduate Research Fellow at the Center for American Politics and Public Policy and enjoys reading, watching theatre and spending time with friends. Through SPIR, he hopes to gain experience analyzing social implications of public policy decisions, and the intersection of governance and diversity. Balqisa is a senior currently studying Medical Anthropology and Global Health. She hopes to attend graduate school and focus on disease prevention and human health from a more social lens rather than the typical medical lens. Outside of SPIR lab, she spends most of her time volunteering in her local community. In the lab, Balqisa is interested in how diversity and stigma can affect people of color when seeking health care. Nathan is a first-year student studying computer science. Beyond the lab, Nathan serves as a community relations intern for the Associated Students of the University of Washington and volunteers as an elementary school tutor. He enjoys spending his time reading, dancing, blogging, and solving puzzles. As part of SPIR, Nathan hopes to examine how diverse individuals perceive the same social dynamics and policies through disparate prisms, especially in educational settings. Danny is a senior studying political economics and labor. He plans on pursuing graduate work integrating labor studies, organizational behavior, or psychology after finishing as an undergraduate. Outside of the SPIR lab, Danny is actively involved in the community through volunteer work and serves with his wife, Courtney, in the youth organization in their church. He is looking forward to becoming a first-time father in April of 2018. Danny is interested in researching formal and informal policies that promote diversity and reduce stigma in the workplace and other organizations. Ruyue is a Senior at UW, concentrating in Economics and Communication. Born and raised in China, she moved to Seattle for college and plans on attending a graduate school with a focus on development economics in the future. Outside of the SPIR lab, Ruyue finds her passion in photography. She was a photojournalist at the Daily and is currently serving as a media checkout intern in the Communication department. Ruyue is interested in examining how diversity maps into policy making in an organization. Angie is a third year in the department of chemistry majoring in biochemistry and plans to attend medical school after she graduates from UW. Outside of SPIR, she is an assistant preschool teacher at University District’s Children Center, has been a musician in the UW Wind Ensemble (clarinet), and a volunteer at the University of Washington Medical Center. She also has experience conducting research in DNA sequencing. Angie is interested in examining how diversity and identity affect health and well-being in university students.